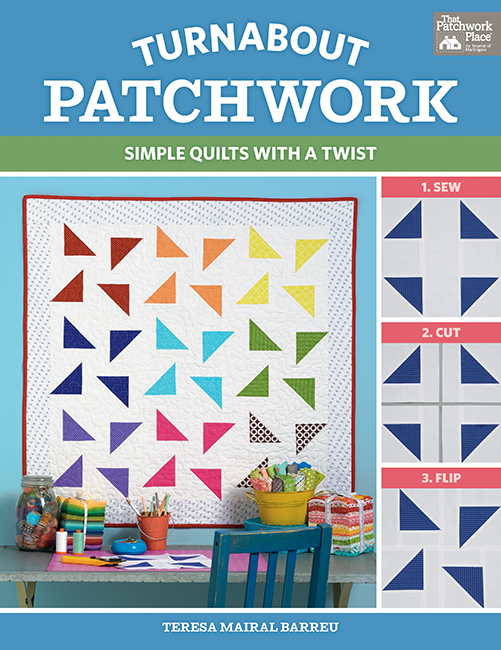 Are you familiar with the "Disappearing Nine Patch" quilt pattern? You sew up an easy block, slice it, then sew it back together to create an entirely different look. Well, that's exactly the premise behind Teresa's book! 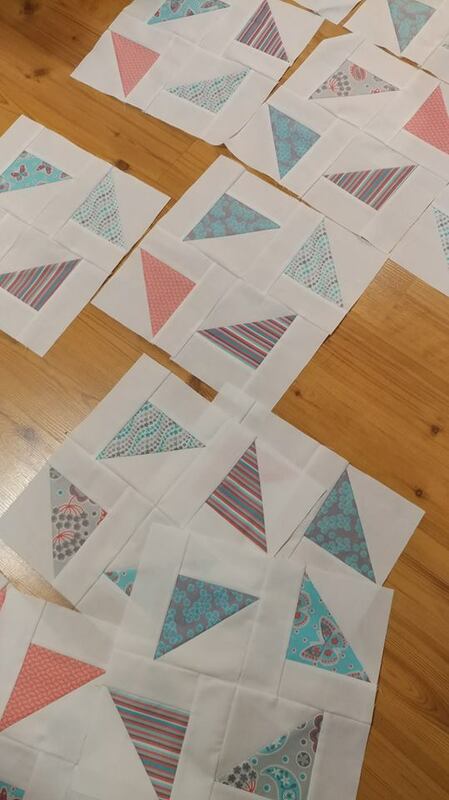 You sew a simple block, then slice it, turn the pieces, then sew them back together to create amazing designs! I chose to make the Flying Confetti quilt - one of the 24(!) quilt patterns in the book. 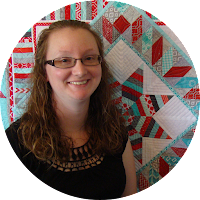 Teresa made a great video summary of all the quilts in the book, and even featured several of the bloggers' quilts from this hop! 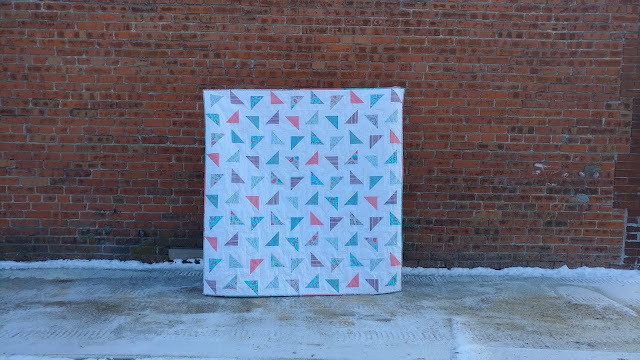 See if you can spot my quilt in the video! The Flying Confetti quilt is perfect for using charm squares, so I chose some Fabric Editions precuts from the Grayson collection. 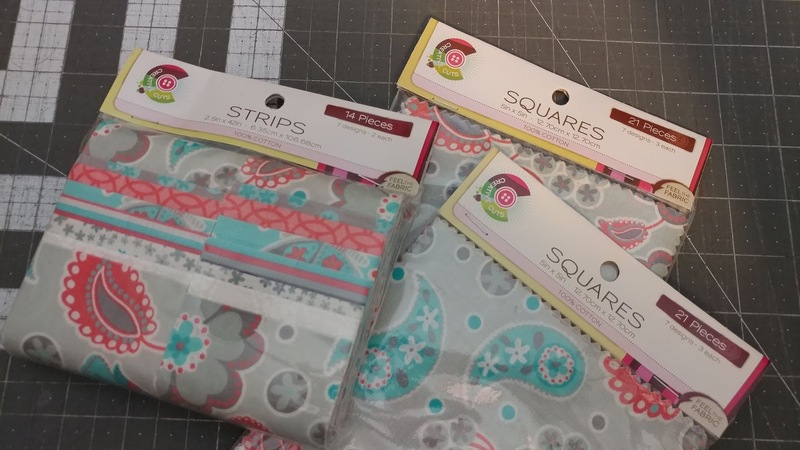 I've had the fabric in my stash for awhile, but I purchased them from Wal-Mart. 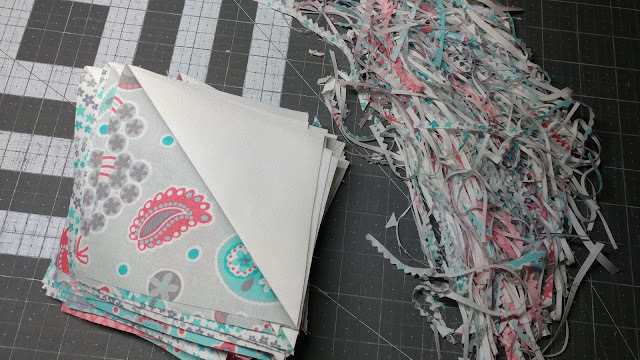 I paired the precuts with Moda Bella white - I keep a bolt on hand at all times! This pattern allowed me to use two of my favorite tools: my laser and my HST Bloc-Loc ruler. Once sewn, I use a Bloc-Loc ruler to trim the HSTs to size. This ruler is worth every single penny! The way it holds the block from moving allows you to accurately trim all four sides in mere seconds. If only I would have invented it! Ha! I'm always on the hunt for ways to save time without sacrificing accuracy. 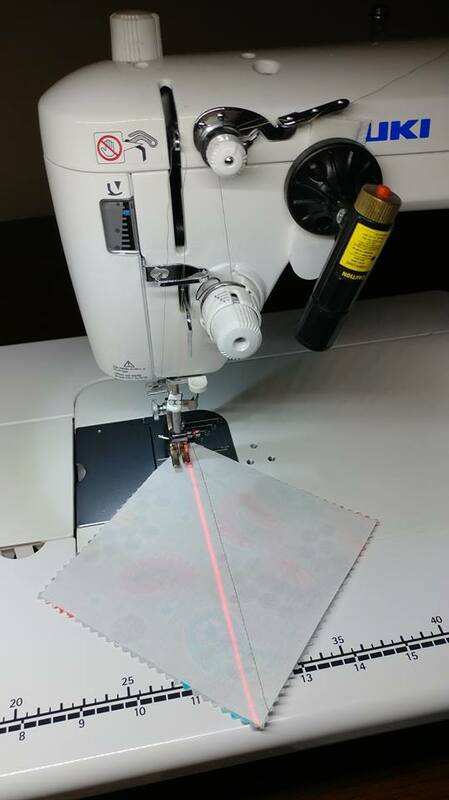 The laser and Bloc-Loc ruler are perfect examples of that! 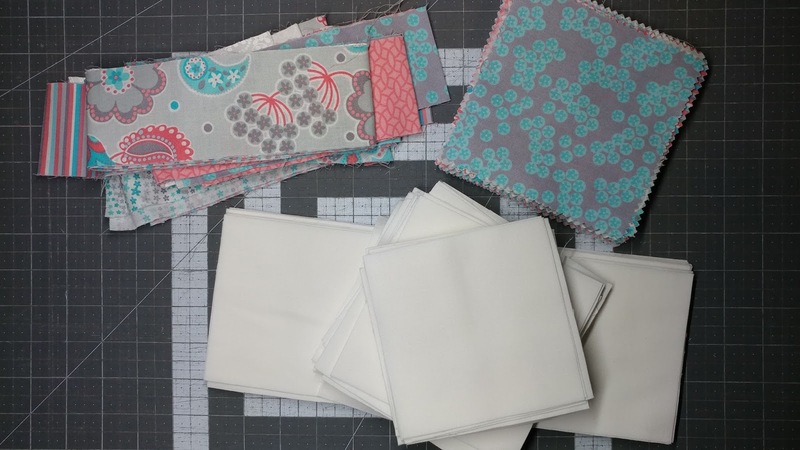 ...flip some of the pieces, and sew them back together for a whole new look! It's like magic seeing the blocks transform! 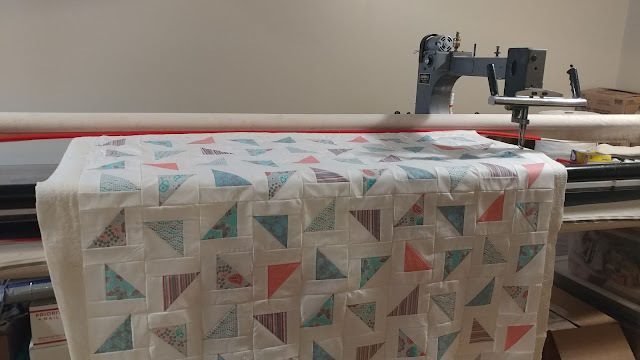 After the top was done, I loaded the quilt on my longarm with a gray fabric that I bought yards and yards (and yards!) of a few years ago for $1 per yard when an online quilt shop went out of business. The batting is from my roll of Warm & Natural (it's so great to keep a roll on hand!). 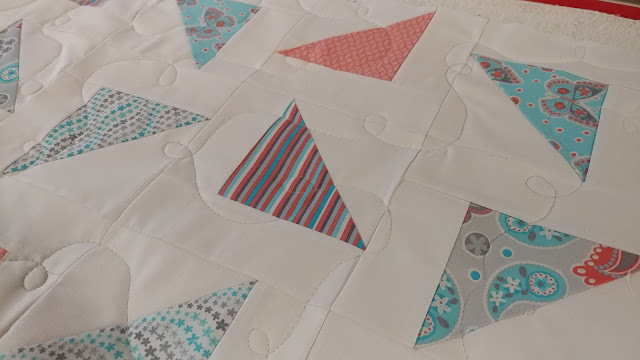 I used a 50wt Aurifil variegated gray #4060 thread for the quilting. 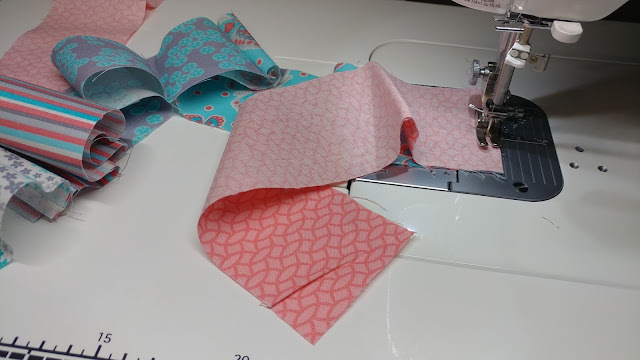 For quilting, I free motioned loops from edge to edge. 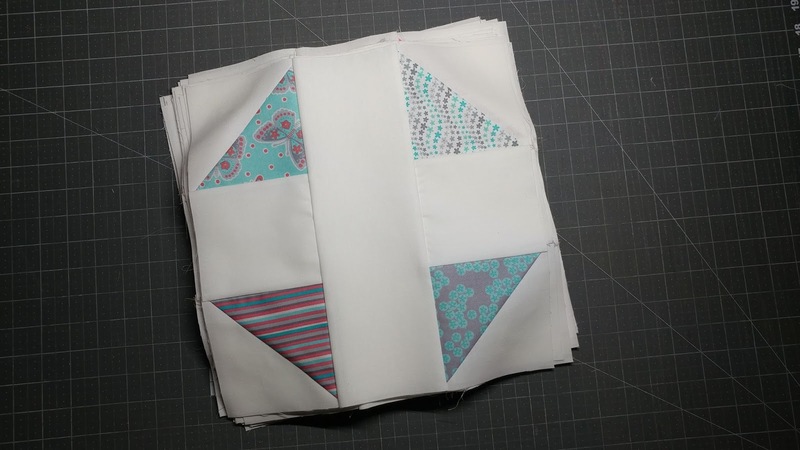 Once quilted, I wanted to use the precut 2 1/2" strips for the binding. To give it a scrappier look, I cut each strip needed into four 10" pieces. I machine sewed the binding (tutorial for that here). 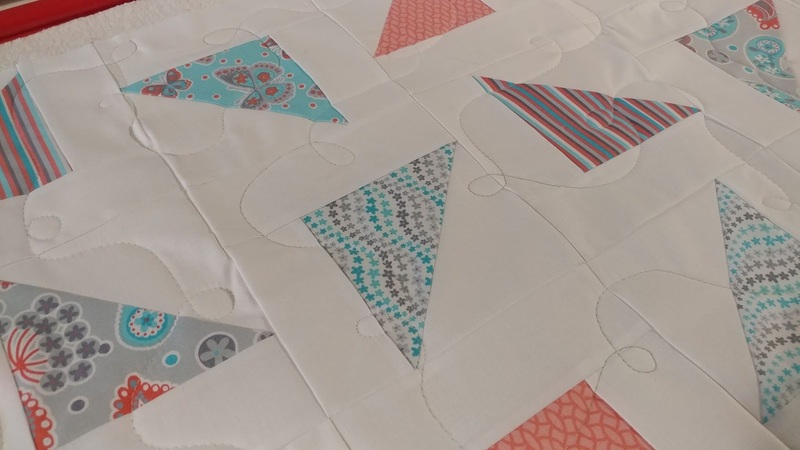 The finished quilt has a soft, playful vibe to it. 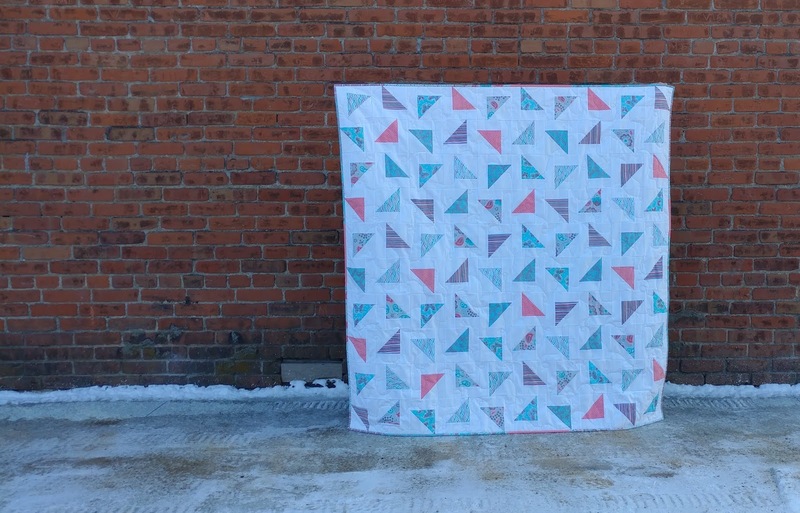 Want to make your own Flying Confetti quilt? 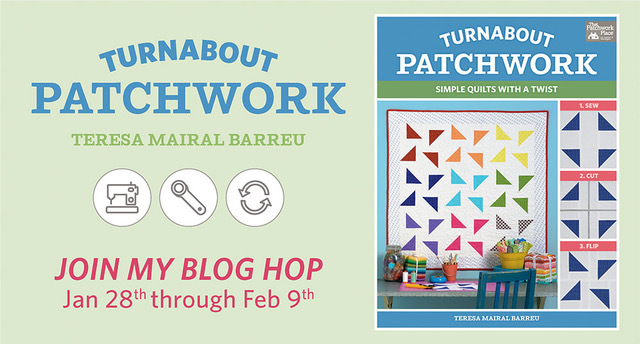 Be sure to get a copy of the Turnabout Patchwork book! Would you like to win a digital copy of Turnabout Patchwork? To enter to win, just leave a comment on this post telling me about the weather where you live. (It was 5 degrees Fahrenheit here in Missouri on Wednesday, and 31 degrees warmer on Thursday!) Please leave your email address in your comment if you're a no-reply commenter. Otherwise I won't be able to contact you if you win! (Giveaway is US only and ends February 9th.) Giveaway ended. Linking up with Can I Get a Whoop Whoop at Confessions of a Fabric Addict, TGIFF at Devoted Quilter, Friday Foto Fun at Powered by Quilting, and Finished or Not Friday at Busy Hands Quilts. It has been cold here (lows in the low 20's earlier in the week), but nothing like up north. We are supposed to get up to 60 today. Great quilt! I would love to win a copy of this book. I'm across the state from you! Wednesday we started out at 5 below. Today we are starting 26 and going up all day. Sunday it is supposed to be near 60! I'm in Texas and right now at 6:50 a.m. it's 55 and going to warm up to 63. On Monday, we're supposed to hit 80 degrees!!! The temp. for two mornings has been around 2 degrees, making it into the teens in the afternoon. The weekend is going to get warmer, they say in the 40"s, we can dream. In Massachusetts we are coming out of the freeze and should get into the 20s today! Love your quilt. Here in central North Carolina, it's supposed to be in the 50s today, which is more normal. We were in the 30s & 40s Wednesday & Thursday. Thanks. We are having a heatwave today all the way up to 3. But rain and 50's come Monday, that will make a mess with the 2 1/2 feet of snow we got earlier this week. In southeast Michigan we are promised temps above zero today! I think -17 on Wednesday was the worst. It is 14 degrees and it is snowing in Northern Virginia. Schools are closed for the third day in a row. 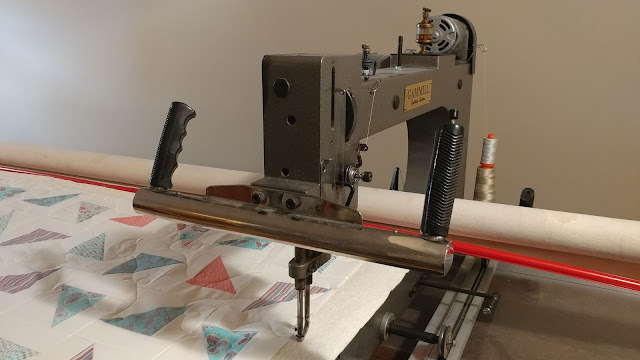 Perfect weather to be inside quilting. Friday here in central Nevada it is supposed to be 55 today with a storm moving in tonight. It was 60 yesterday!! I'm from MO also!! It was so nice to wake up to warmer weather today, but I have heard next week, we are getting it again!! 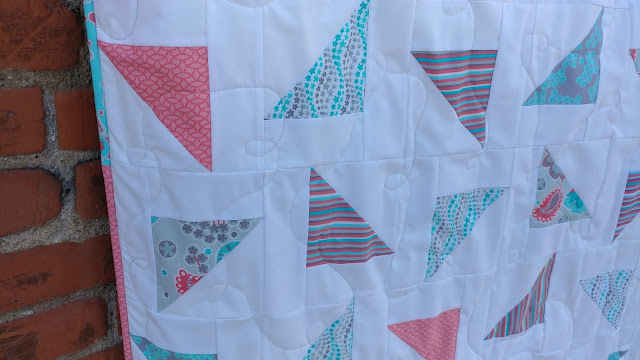 Sunny and warm (70's) here in Arizona and your triangle quilt has great eye appeal. It’s just above freezing at the moment and we had a light snowfall overnight! Love the flying confetti quilt. The fabric was a perfect choice in my opinion. Right now we have freezing fog. At least the temperature will be a little above freezing later and maybe not foggy. I do not miss the super cold temperatures of Wisconsin. Love your quilt! I just bought some WM fabric myself. I can tell by the feel of it that's it's good fabric. It's been pretty chilly here in N. Louisiana, but nothing compared to my friend in Chicago who was 100 degrees colder than us - counting in wind chill! I'm in the San Francisco Bay Area where, today, it is overcast and drizzling. It's currently 53 degrees outside. I love your Confetti quilt. Thank you for sharing it with us. It's up to 55 here right now and quite overcast. Not so warm and sunny Florida, but I can't complain when I read the frigid temps of others. 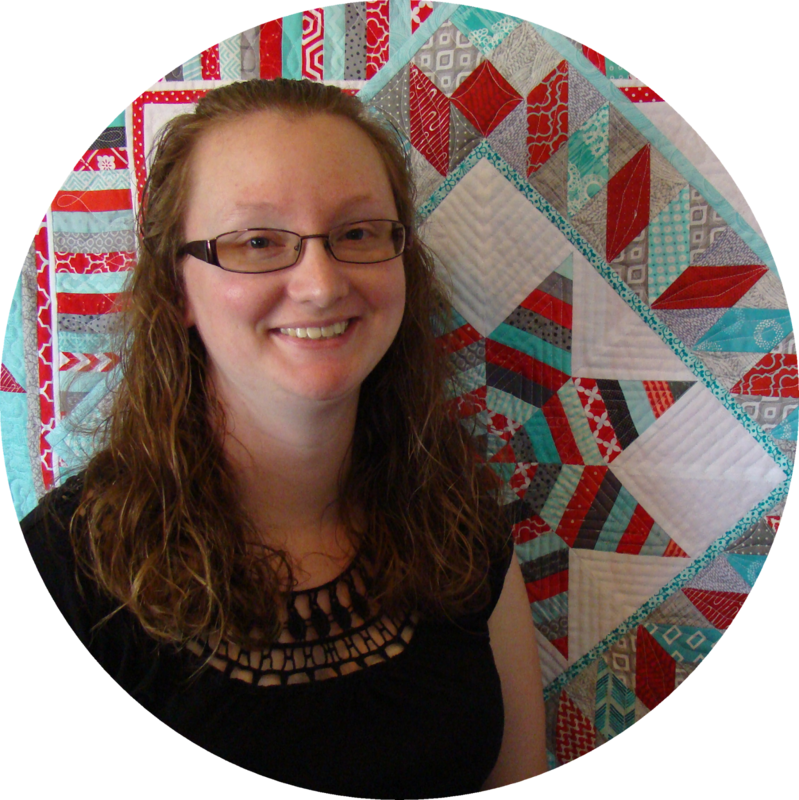 Fabulous job on the quilt, Laura! I'm looking forward to sharing mine from the book next week :) No need to enter me in the giveaway, but it's bright and sunny and bitter cold here today. -22C with the windchill. Brrr! I hate to brag, since you asked, it's 51 degrees and light showers. I miss the snow this year, but I am happy not to be freezing. I feel so bad for all those suffering the polar vortex!!! We've been in the teens the last few days. I looking forward to a warm up this weekend. Great quilt. I'm in northeast Oklahoma. We had a couple of cold days, but no precipitation. We were lucky to be just on the edge as the cold dipped south. It's 50 degrees and cloudy here today. It's going to be 72 here in Phoenix, AZ today. Snowbirds are here in droves and the Phoenix Open golf tournament is in full swing. 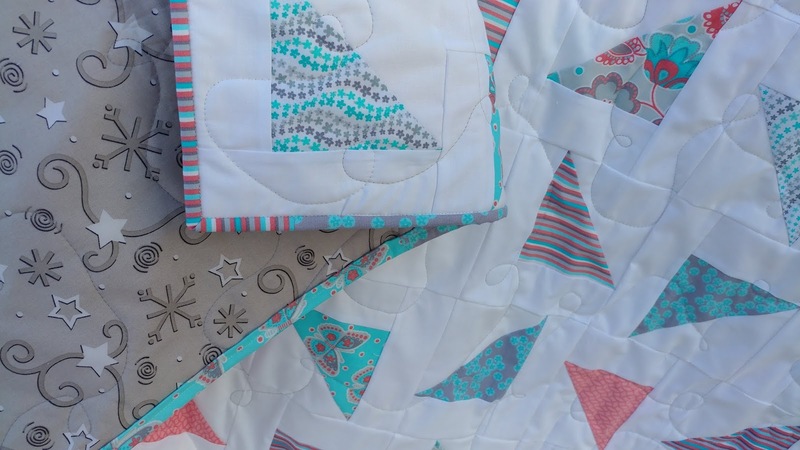 Love your quilt--and great idea to use a charm pack! We're coming out of the deep freeze in Northern NJ--was 5 degrees this morning and up to 23 degrees when I came home this afternoon. Believe it or not--it's supposed to hit 60 on Monday--crazy! This turned out great! I also used the Bloc_Loc! A life saver! I live in Louisiana, highs in the 60s today with lots of clouds. My son in Minnesota had to use his girlfriend's hair dryer this morning to unfreeze some part in his truck engine to get it to start! Ha! 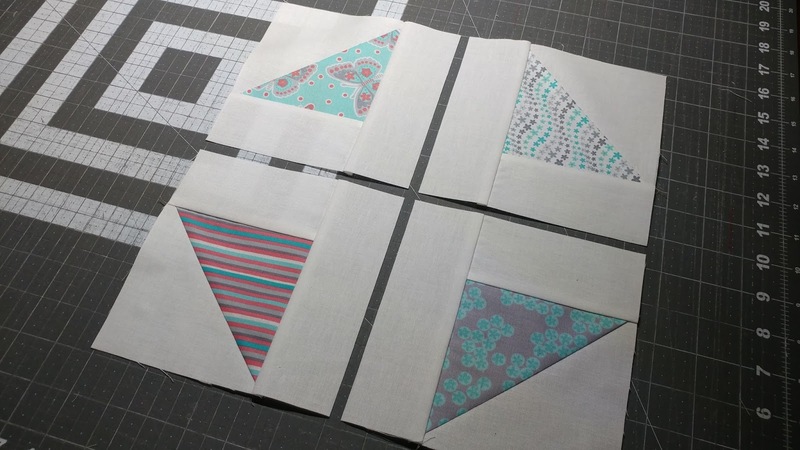 I love the boys and their blocks next to the longarm! It was 40s and sunny today in Charlotte, NC; colder in the morning before the sun is up when I leave for work. 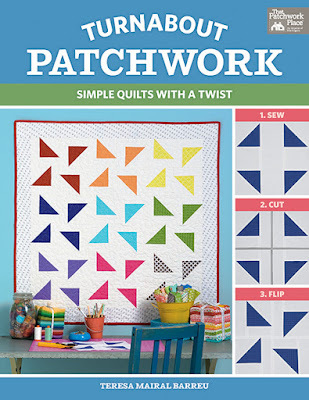 I love the look of this quilt! Our weather was in the 50's yesterday and gradually getting warmer. Supposed to be 70 on Sunday. We definitely don't know what season it is here! Lucky you with happy kids while you sew! I live on the west coast where the most we can complain about is mild rainy weather, with temps in the high 50's, low 60's ! Your quilt turned out great. Thanks for sharing! Love your quilt! It is rainy and about 60 here. OMG, the weather!! It's 11:45p.m. here in WNY state, 4 degrees, with a feels like temp of -6. The high today was supposed to be 14 but I don't think it got there. And tomorrow the high is supposed to be 34! Love this books idea of cutting up the blocks. Thanks for the opportunity to win! Wow, weather, yes. I'm in E. TN fortunately, so didn't quite get down to 5! Our low on Tuesday was about 17, never rose to freezing on Wednesday, and the low Wednesday was around 11. To me, that's inhuman! But my friend in Ohio went below zero, so I'm not really complaining! I just had to look at my hometown, Phoenix, AZ. When I was suffering so far below freezing, they had highs in the 60s and lows were high 40s. Why do I torture myself that way? LOL Thanks for the chance in the giveaway. I hope you are now safely in the warm enough not to freeze your blood area. Love the quilt. 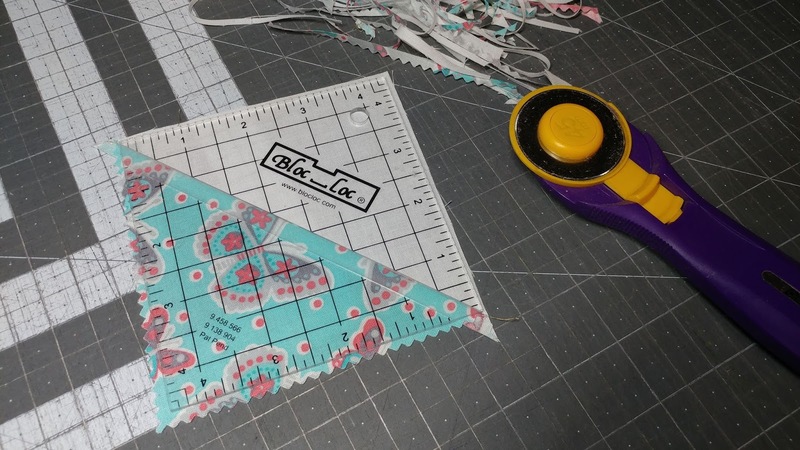 Don't you love Bloc Loc rulers? It is finally starting to warm up. Got to 45 today. I live in southern California so it’s pleasant and warm. Showers are expected for the weekend and that’s fine as we need as much rain as possible except in the areas where we had fires in 2018. We missed the deep freeze here in the Pacific Northwest. So far it has been a pretty mild winter. Today we are supposed to get some rain and maybe snow tomorrow which leads to icy driving conditions after dark. It is 39 degrees F at 5AM. Thursday morning it was -37, but today it's supposed to be 25. 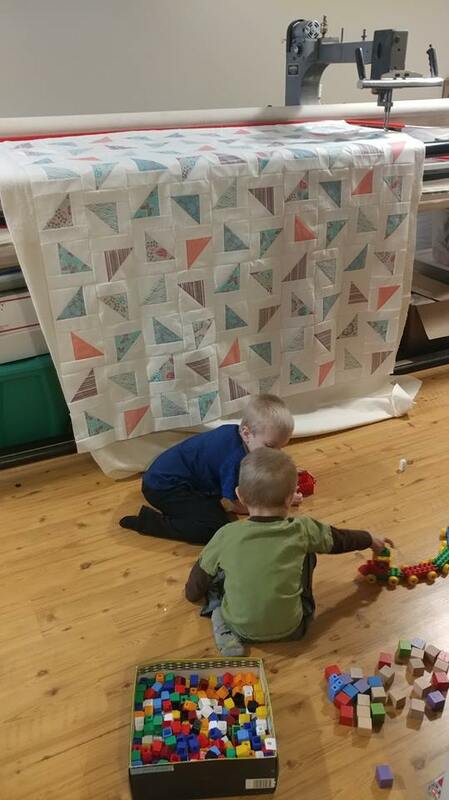 You have the best of both worlds, being able to quilt while hanging out with your little guys! The weather where was 17 below zero at home when we left for Florida. Got here last night and it was a glorious 60!! Even with the rain falling, it felt wonderful!! It's very pleasant weather here in south central Texas, 60 degrees this morning! It's in the mid-30s, raining and supposed to turn to snow tomorrow here in Carson City, NV. Your quilt looks great with that special fabric. Love the back...can't go wrong at a $1/yard. What a fun quilt! It looks so different in different fabrics. I had a blast making the one I did. Right now it is just above freezing and snowing like crazy. This is the first snowfall this winter and probably won't last, but it is fun to watch. Glad I live in the Pacific Northwest. We have had such a mild winter. I really feel for those having to deal with the frigid temperatures and snow. Love your quilt. Today it was 59 in Cleveland area... but it was -4 a few days ago... good thing I like variety, lol! It's cloudy and high 40s in Western Oregon. I grew up in Michigan and do not miss those polar vortex temperatures and blizzards one bit! Today, here is on the west side of lower Michigan, it is cloudy, misty, foggy and the high was 37 degrees Fahrenheit. Today in eastern PA it's approaching 50. Last week, wind chill was -25. Next week, cold weather again. Roller coaster! In Oregon we are expecting a little snow in the next few days. Here in NY - I'm wondering whether it's spring 55 yesterday or winter -20 something last week. It's exciting at that, hahaha! Still cold in Cedarburg, Wisconsin. But 20 is an improvement from -20 last week!